The knitting has been rather slow and sporadic around here for a while now. There are a lot of distractions: life, weaving, needlepoint, the day job, new puppy, etc. ; however, there is nothing quite as soothing as the feel of lovely yarn in one's hands. 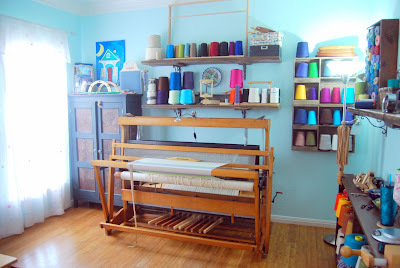 Two years ago, I went to a retreat with Hill Country Weavers out of Austin, Texas. While there, I won a prize or two!! 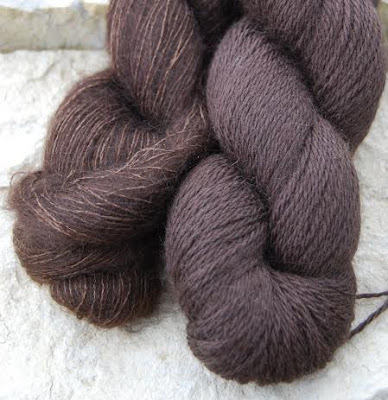 One of the prizes was two skeins of Shibui, Silk Cloud lace and Baby Alpaca dk, both in the Grounds, a lovely deep, rich brown. 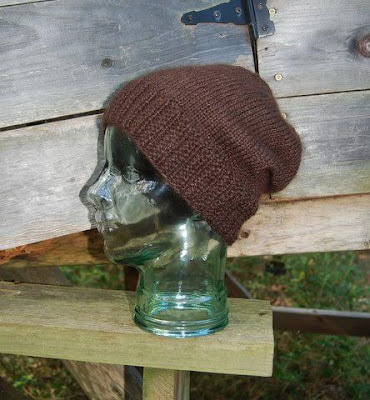 They were accompanied with a pattern for a slouchy beanie called Shibui Mix No. 6. 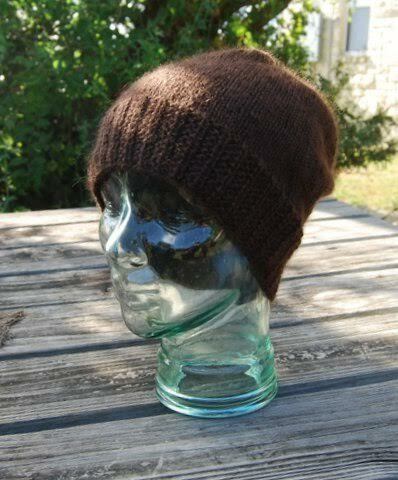 This is a design I have been wanting to try for ages, but it required size US 5 and 7 16" circular needles and when I had one pair in my hands of one size, I never could find a pair in the second size. I ended up buying another pair of the US 7 needles (12" circular this time), the second I remembered where I placed the US 5 ones! 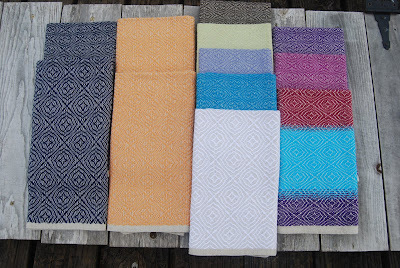 There is nothing nicer than a simple, quick pattern in luxury yarns! The only drawback: the yarns are a little pricey for a hat. But, I was so taken with the yarn combination, before I was even finished with the first hat, I ordered the yarns for three more in different colors. There may be a bonus, too! 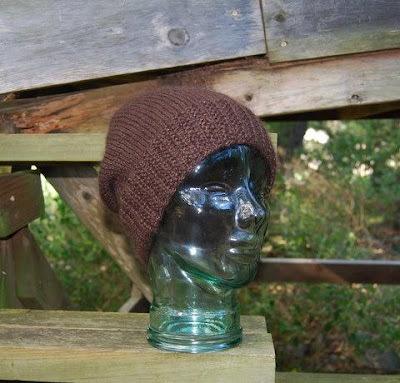 The finished hat weighs 59 grams. 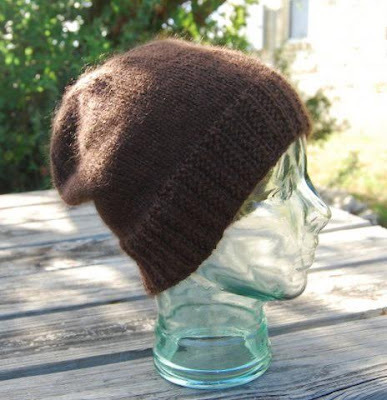 The Baby Alpaca dk was originally a 100 gram skein. I have ~51 grams left. The Silk Cloud lace came as a 25 gram skein, and there are 15 grams left. There appears to be enough to make another one!!! Far more bang for the buck, if I can get two hats out of this combination! Your hat looks so delightfully soft. It will be a treat to wear, and so worthy of those special yarns. Pretty!